Mohandas Karamchand Gandhi (Mahatma Gandhi) was born on October 2, 1869, into a Hindu Modh family in Porbanadar, Gujarat, India. His father, named Karamchand Gandhi, was the Chief Minister (diwan) of the city of Porbanadar. His mother, named Putlibai, was the fourth wife; the previous three wives died in childbirth. Gandhi was born into the vaishya (business caste). He was 13 years old when married Kasturbai (Ba) Makhanji, through his parents arrangement. They had four sons. Gandhi learned tolerance and non-injury to living beings from an early age. He was abstinent from meat, alcohol, and promiscuity. Gandhi studied law at the University of Bombay for one year, then at the University College London, from which he graduated in 1891, and was admitted to the bar of England. His reading of "Civil Disobedience" by David Thoreau inspired his devotion to the principle of non-violence. He returned to Bombay and practiced law there for a year, then went to South Africa to work for an Indian firm in Natal. There Gandhi experienced racism: he was thrown off a train while holding a valid first class ticket and pushed to third class. Later he was beaten by a stagecoach driver for refusing to travel on the foot-board to make room for a European passenger. He was barred from many hotels because of his race. In 1894, Gandhi founded the Natal Indian Congress. They focused on the Indian cause and British discrimination in South Africa. In 1897, Gandhi brought his wife and children to South Africa. He was attacked by a mob of racists, who tried to lynch him. He refused to press charges on any member of the mob. Gandhi became the first non-white lawyer to be admitted to the bar in South Africa. During the South African War, Gandhi was a stretcher barer. He organized the Indian Ambulance corps of 300 Indian volunteers and hundreds of associates to serve wounded black South Africans. He was decorated for his courage at the Battle of Spion Kop. At that time Gandhi corresponded with Leo Tolstoy and expressed his admiration of the Tolstoyan principles of non-violence. In 1906 Gandhi, for the first time, organized a non-violent resistance against the Transvaal government's registration act. He called upon his fellow Indians to defy the new law in a non-violent manner and suffer the punishment for doing so. He was jailed on many occasions along with thousands of his supporters. Peaceful Indian protests caused a public outcry and forced the South African General J. C. Smuts to negotiate a compromise with Gandhi. However, Gandhi supported the British in World War I and encouraged Indians to join the Army to defend the British Empire, in compliance with the full citizenship requirement. Back in India, Gandhi became active in the struggle for Indian Independence. He spoke at the conventions of the Indian National Congress, becoming one of its leaders. In 1918, Gandhi opposed the increasing tax levied by the British during the devastating famine. He was arrested in Champaran, state Bihar, for organizing civil resistance of tens of thousands of landless farmers and serfs. In jail Gandhi was on a hunger strike in solidarity with the famine stricken farmers. Hundreds of thousands of his supporters gathered around the jail. Gandhi was addressed by the people as Mahatma (Great Soul) and Bapu (Father). He was released. Then he represented the farmers in negotiation with the British administration. His effort worked. The tax collection was suspended and all prisoners were released. He declared that all violence was evil after the Amritsar massacre of 379 civilians by British troops, which traumatized the Indian nation. As the leader of the Indian National Congress party Gandhi launched "Swaraj", a campaign for independence and non-cooperation with the British authorities. He urged Indians to replace British goods with their own fabrics and goods. He was imprisoned from 1922-1924, being released after an appendectomy. During that time a Swaraj party was formed by his anxious opponents; it later dissolved back into the Congress. On New Year's Eve, December 31, 1929, the Indian National Congress unfurled it's flag of independence. Gandhi and Jawaharlal Nehru issued the Declaration of Independence on January 26, 1930. Gandhi planned to achieve stability through the secularization of India, as the only way of uniting Hindus and Muslims in one peaceful nation. The religious divide was growing under the British colonial rule, which prospered from the monopoly on the salt trade. Everyone needed salt. Gandhi wrote to the Viceroy, Lord Irwin: "If my letter makes no appeal to your heart, on the eleventh day of March I shall proceed with co-workers of the Ashram as I can take, to disregard the provisions of the Salt Laws. I regard this tax to be the most iniquitous of all from the poor man's standpoint. As the Independence movement is essentially for the poorest in the land, the beginning will be made with this evil." From March 12 to April 6, 1930, Gandhi made the famous Satyagraha ("Satya" - truth, "Agraha" - persuasion), The Salt March to Dandi. He walked on foot to the ocean in protest against the British salt monopoly and salt tax. He led thousands of Indians on a 240 mile (400 km) march from Ashram Ahmetabad to the village of Dandi on the ocean to make their own salt. For 23 days the two-mile long procession was watched by every resident along the journey. On April 6, Gandhi raised a grain of salt and declared, "With this, I am shaking the foundations of the British Empire." Gandhi's plan worked because it appealed to people in every region, class, religion, and ethnicity. The successful campaign led to the reaction of the British government and imprisonment of over 60,000 people for making or selling salt without a tax. The British opened fire on the unarmed crowd and shot hundreds of demonstrators. Gandhi was arrested in his sleep on the night of May 4th, 1930. Eventually the British government, represented by Lord Irwin, signed the Gandhi-Irwin Pact in March 1931, agreeing to free all political prisoners. Gandhi was invited to London as the leader of the Indian National Congress, but he was disappointed with the British attempts to destroy his influence by dividing him from his followers. 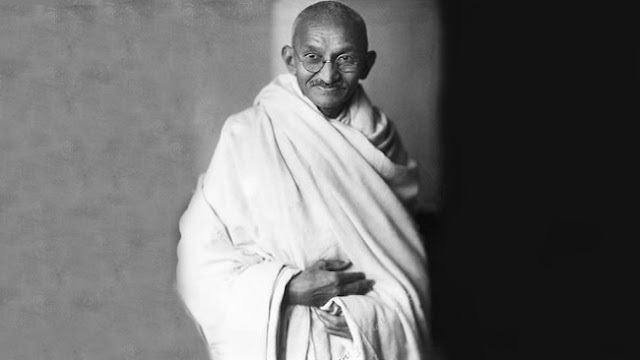 Gandhi campaigned to improve the lives of the untouchables, whom he called Harijans (the children of God). He promoted equitable rights, including the right to vote in the same electorates as other castes. In 1934 Gandhi survived three attempts on his life. In 1936, he briefly resigned from the party, because his popularity was stifling the diversity of membership; ranging from communists and socialists to religious conservatives and pro-business groups. He returned to the head of the party with the Jawaharlal Nehru presidency. At the beginning of the Second World War Gandhi declared that India could not be a party to this war, unless it has independence. His "Quit India" campaign led to mass arrests on an unprecedented scale of struggle. He was arrested in Bombay (Mumbai) and was held for two years. During his captivity his wife passed away and his secretary also died. Gandhi was released in May of 1944, due to a necessary surgery. His campaign led to a release of over 100,000 political prisoners before the end of the war. India won independence in 1947, followed by the Indo-Pakistani War of 1947, and partition of India. Gandhi said, "Before partitioning India, my body will have to be cut into two pieces." About one million people died in the bloody riots until partition was reluctantly asserted by Gandhi as the only way to stop the Civil War. He urged the Congress Party to accept partition, and launched his last "fast-into-death" campaign in Delhi, calling for a stop to all violence. Gandhi also called to give Pakistan the 550,000,000 rupees in honor of the partition agreement. He tried to prevent instability and anger against India. Gandhi was shot three times in the chest and died while on his way to a prayer meeting, on January 30, 1948. His assassins were convicted and executed a year later. The ashes of Mahatma Gandhi were split in portions and sent to all states of India to be scattered in rivers. Part of Gandhi's ashes rest in Raj Ghat, near Delhi, India. Part of Mahatma Gandhi's ashes are at the Lake Shrine in Los Angeles. His own interpretation of the Seven Deadly Sins were: Wealth without Work, Pleasure without Conscience, Science without Humanity, Knowledge without Character, Politics without Principle, Commerce without Morality, and Worship without Sacrifice. He is referred to as "the father of the Nation" in India. His birthday (October 2nd) is celebrated as a national holiday in India and is called 'Gandhi Jayanthi'. The title "Mahatma" (meaning "great-souled") was given to him in 1915 by his friend Rabindranath Tagore. He never accepted the title because he considered himself unworthy of it. Worked as a lawyer before turning to activism. "An eye for an eye will only end up making the whole world blind."